I have had a few requests to see more photos of certain builds, so I will make a separate post on each plot and hope this satisfies. 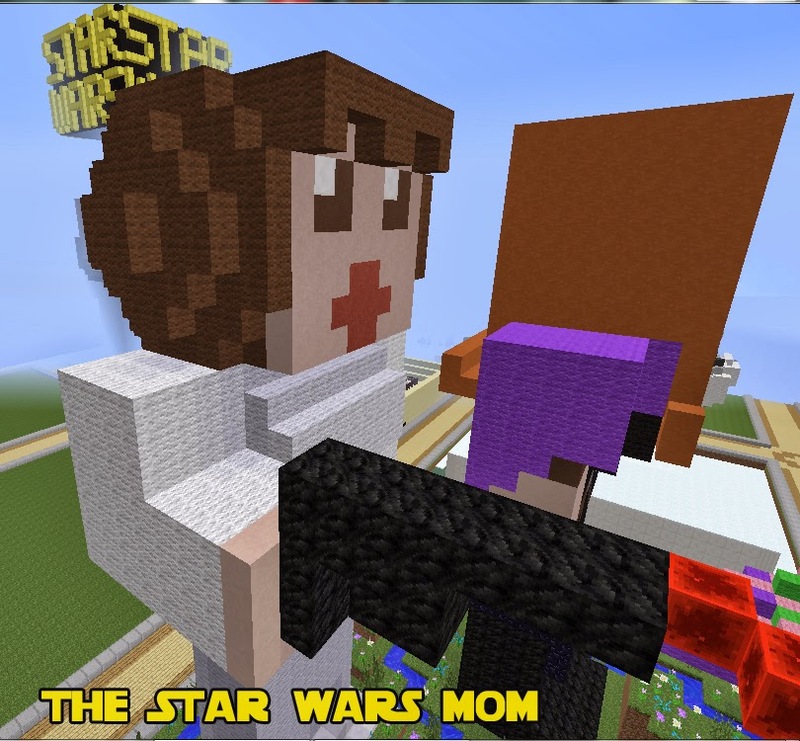 Who doesn't love a Minecraft Princess Leia? I think her Cinnamon Roll hair came out fantastic. 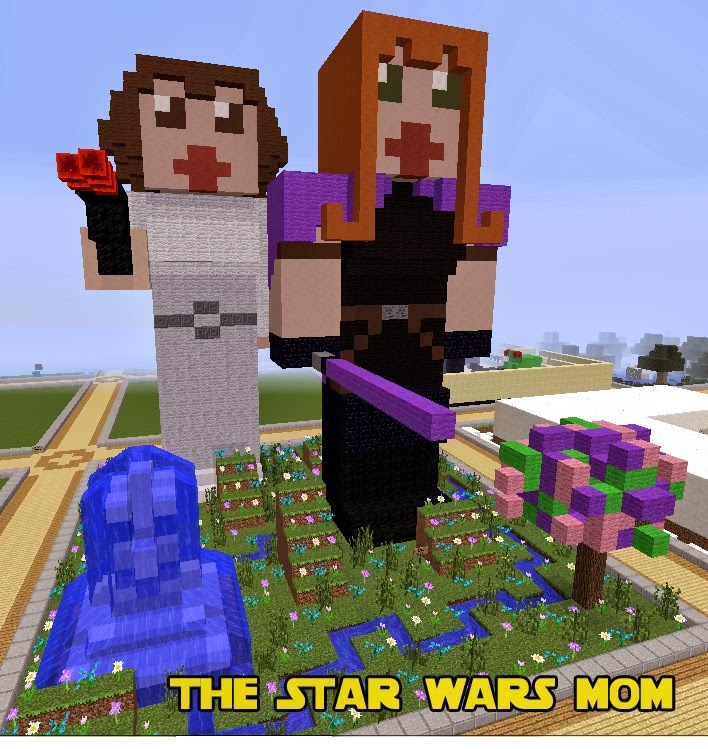 And I had to create Minecraft Mara Jade Skywalker, as you may know this is Luke Skywalker's wife and mother of Ben Skywalker, both of whom should be staple characters in the upcoming Star Wars VII movie. Still uncertain how I feel about their mouths. I was trying to give them full female lips with limited space. 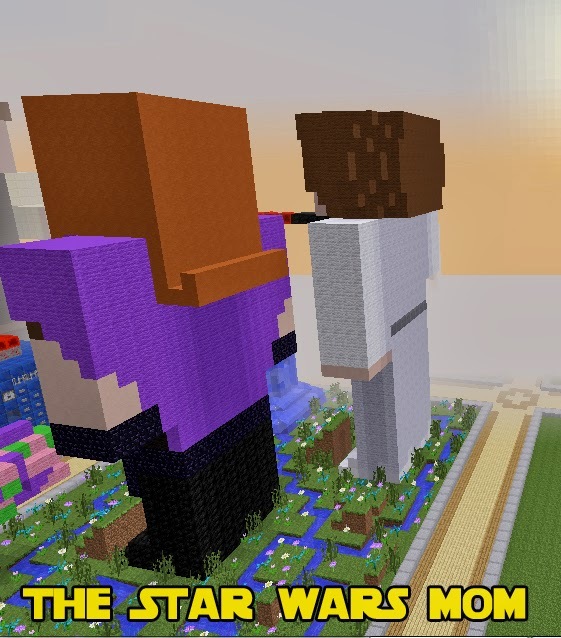 Both of these were created by me, TrulyBratiful, on the SKrafty Minecraft Server.